We offers the policy with the aim of keeping the confidentiality of its users and customers’ private information according to the following conditions. The most substantial level of security and privacy is promised to be offered by vietnamvisatour.com. All transactions with customers’ authentication (credit card processing is included) are carried out with the presence of SSL (Secure Socket Layer) technology, aided by your browser that encodes all information sent to us. We have our security certificate verified by Site Lock Website Security (USA), bringing the best commercially available encryption on the internet into usage. Your personal information will be definitely safe from loss, misuse, unauthorized access, disclosure, alteration or destruction happened during the procedure in order to make sure that the personal information is only used for the aim of collecting gathered information. Measures are conducted with the aim of recording your information precisely and fully. You are able to get access to your information for the change or correct. Gathered from customers is only used for better service. The information will be disclosed in no way to the third parties without the customers’ consent. All of the information you provide is kept confidential totally from unauthorized use. Information required for membership is definitely kept private in our database; other information is not available after 15 days. One of the major third-party credit card processing companies such as PayPay.com, OnePay.vn and G2S.Com payment gate will take a charge of processing credit card transactions. All of your information is encoded for the only usage of completing the suitable transactions. Your email address as username is kept in our databases in order to login on our system for discount policy. vietnamvisatour.com has a right to collect and store information like IP address, browser type or operating system type. All of the information is kept privately and only used for the aim of administrating system. The information provides helps to identify problems, monitor traffic and site usage. Changes in the status of customer’s applications, in the database, on our web site, or when new services or features are supplemented will be notified to our members or clients via emails. vietnamvisatour.com considered as a part of the service will have a responsibility to send e-mail notifications when special discounts, new products are added or new features developed. You are not forced to subscribe our news letter. Our e-mail list is not disclosed to the third parties. 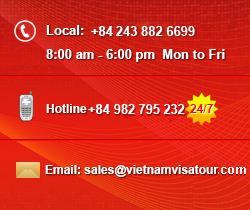 Your profile can be able to be changed at any time in need by emailing to sales@vietnamvisatour.com that your information is committed to be safe. Using this site and its service means you unconditionally agree with the terms of this Privacy Statement and our Terms and Conditions. 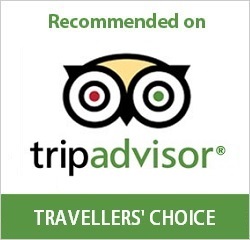 You observe the terms governing the use of this site, its services and all information provided by you and other users of Vietnamvisatour.org. If you disagree with any of the terms of this Privacy Statement, you are not allowed to use this site.